Why Choose High Efficiency Air Conditioning? How old is your air conditioning system? Did you know that if it’s more than 10 years old, it could be time to look into updating? If your system is running great, and you’re getting the energy efficiency you need, of course there’s no need for an upgrade. But if you’ve found yourself making a lot of expensive repairs in recent years, or you’re spending much more than you’d like on your home energy bills during the summer months, it’s probably time for a change. 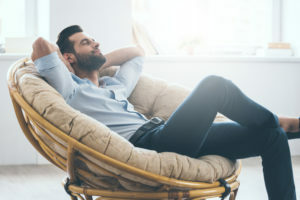 Today’s air conditioning systems not only provide optimal comfort; they also offer much better energy efficiency than their older counterparts. According to the Department of Energy, “today’s best air conditioners use 30 percent to 50 percent less energy to produce the same amount of cooling as air conditioners made in the mid-1970s.” They add that you could save 20 percent to 40 percent of cooling energy costs by replacing an air conditioner that’s 10 years old with a newer, more efficient model. So the major benefit of choosing to install high-efficiency air conditioning is, of course, energy savings. But what are some of the other benefits to high-efficiency AC? Quality Products: Stafford Mechanical Services, Inc. is a proud Carrier® Factory Authorized Dealer. You can trust us to not only provide high-quality, high efficiency air conditioning systems for your home. And, you can rely on our factory-trained technicians to meet all of your cooling needs. Quieter Operation: Modern air conditioning systems operate more quietly. That provides you and your family with more than just cool comfort. It also keeps your home quiet and peaceful, no matter how hot the outside temperatures might get. Environmentally Sound Refrigerant: Today’s air conditioning systems are manufactured using a type of coolant that is naturally more energy efficient, and does not harm the ozone layer. So while you’re staying cool, you’re also being mindful of your carbon footprint. Professional Installation: When you work with Stafford, we’ll be able to help you determine just the right air conditioning solution for your home. No two homes are alike, which is why we never offer cookie-cutter solutions. We take the size of your home into account, as well as the specific needs of your family. Many Options: Whether you’re considering central air conditioning, or are interested in another cooling solution such as ductless or geothermal AC, we can provide you with different options best suited to your specific needs. We take great pride in every system we install, so you can count on us for expert results. When it’s time to update to high-efficiency AC, call Stafford to help. If you’d like to learn more about getting high-efficiency cooling for your home, count on Stafford Mechanical Services, Inc. to assist you. We proudly offer high-quality Carrier products for your home. You may contact us via phone at 860.684.9485. We look forward to helping you with all of your air conditioning needs.